What does a church do when they are experiencing growth in attendance along with a limited budget? 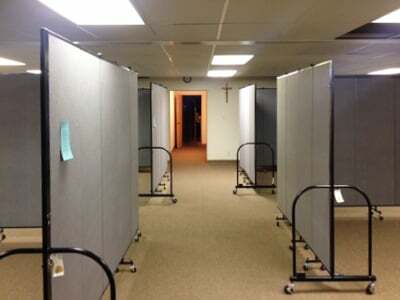 They use Screenflex Room Dividers to create Sunday School Classrooms in a church basement. Churches throughout the world do their best to offer services and ministries to the community with the weekly offering received. 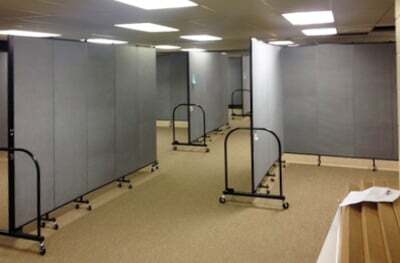 Many have found the use of Screenflex Room Dividers as a simple and cost-effective solution to their spacing needs. 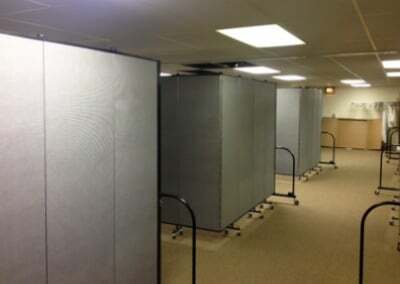 Room Dividers arrive fully-assembled and ready to use. The insulated fabric panel walls can be rolled right out of the shipping box and directly into place. The dividers not only create classrooms but are fully tack-able to display posters, lesson plans, artwork, and safety material. For an additional bonus, the insulated panels absorb sound from classroom to classroom. 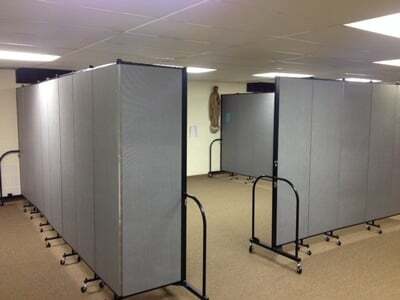 Here, the Catholic Diocese of Lincoln uses Screenflex Room Divider to create 4-5 Sunday school classrooms in a church basement to accommodate their growing needs. 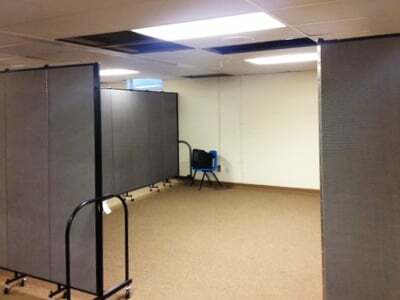 They used seven dividers to create full-sized classrooms to be enjoyed by students of all ages. Choose from over 36 room divider sizes and 38 colors.